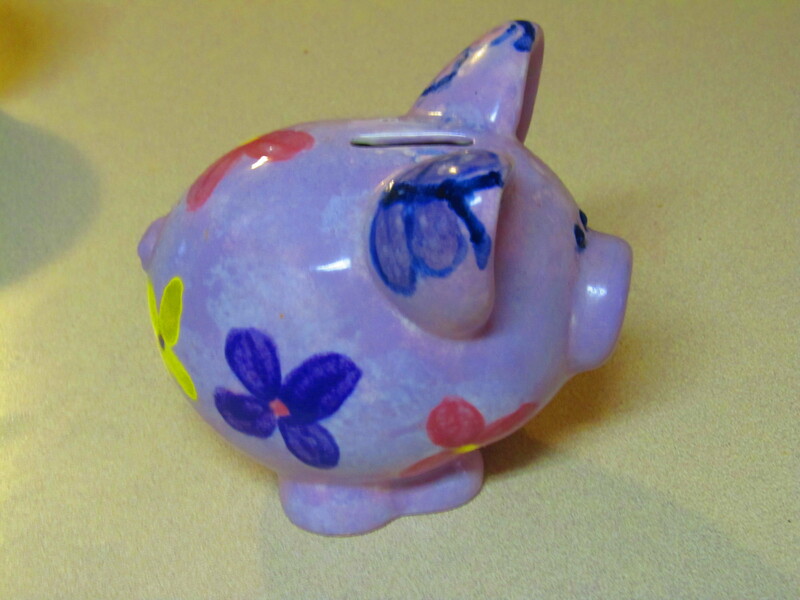 I made this Piggy bank as a gift several years ago. When The Big Guy was a grad student I was able to use the studio in the student center. The studio was run for and by students. The prices were good plus it was convenient. I worked on Piggy for several hours until she looked just right. She was so cute. Everyone in the studio agreed Piggy was adorable. Piggy was left to be fired and finished. I was really excited about my masterpiece. When I create things there is a sense of pride in my work especially if I create it as a gift for someone. When I returned a few days later to pick up Piggy and some other pieces I was disappointed to find that something had gone wrong in the firing process. Piggy was perfect except for little dent marks on top. The student manager offered another product on the house. She went off on a long explanation how Piggy was to blame for the problems. 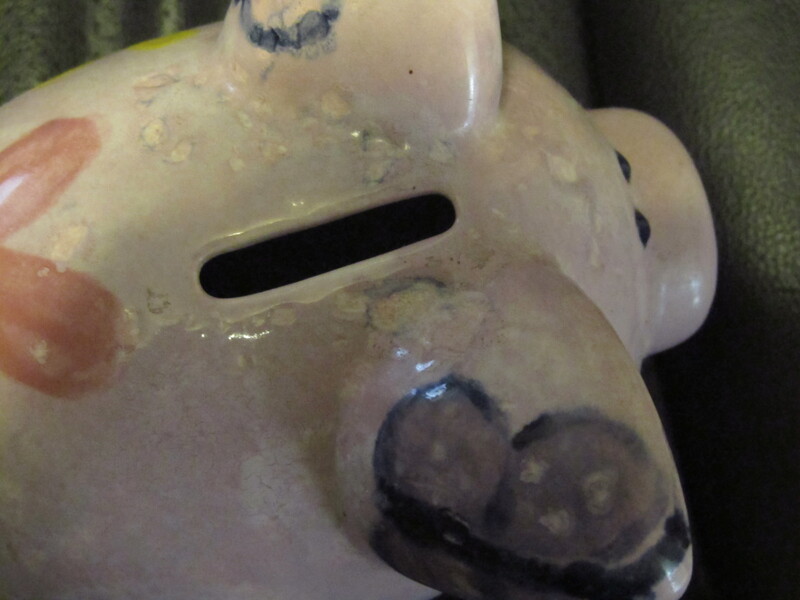 It was hard to “fire” Piggy and that no one ever made piggy banks. Instead she kept offering me a cute panda or elephant “piggy bank”. She didn’t understand why I didn’t want a panda or an elephant. They weren’t the same. Dejectedly I set Piggy at my workspace and selected another piece. The manager started to take Piggy away. When I stopped her, she was amazed that I still wanted a damaged product like Piggy. Well of course, I wanted Piggy she was my creation. I invested time into Piggy. Many times we are like Piggy. We were created for a purpose. However we have gotten messed up with dents and dings from life. It doesn’t mean that God wants to throw us out. He wants to redeem, re-purpose and even use life’s dings for our good. Like Piggy God can still use us. We use Piggy to collect spare change. All of the spare change is donated to missions, World Hunger Day, Operation Christmas Child and other charitable causes.